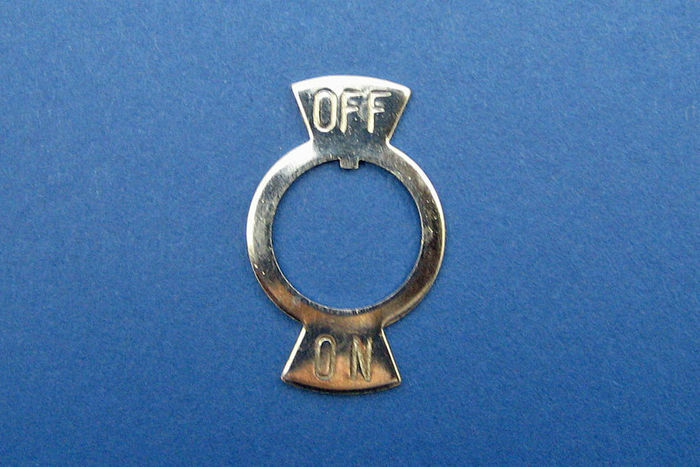 Toggle switch fascia. Simply place under the nut that secures the switch. A tag on the fascia ensures it is the correct way up.